Although there haven’t been a lot of earth-shattering architecture changes in Horizon View 5.3, there have been some great new features added. No, there aren’t virtual appliances that you can deploy as Connection and Security Servers. Feature Pack 1 and VMware Blast haven’t been integrated into the base install – they are still add-on components that need to be installed on the View Desktops after the agent is installed. 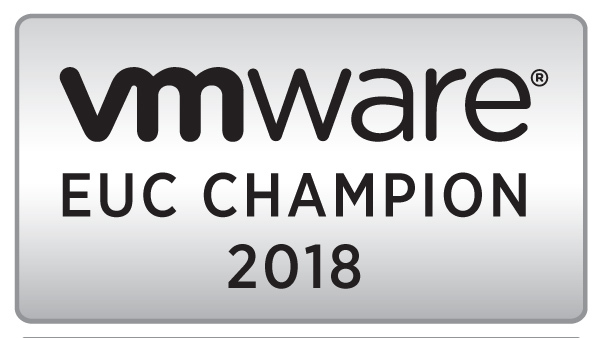 In fact, there have been so few major changes to Horizon View 5.3 that VMware has said that the Horizon View 5.2 documentation still applies. Aside from some release specific notes, the documentation that you view or download from the support site. The full release notes can be found on the VMware support page. Support for virtual desktops running Windows Server 2008 R2 – this is perhaps the biggest new feature as it provides one avenue for providing VDI without having to deal with Microsoft’s broken VDA licensing model. While this was possible, albeit hit-or-miss, in previous versions, Horizon View 5.3 provides official support for Server 2008 R2 desktops. Some features, like Persona Management and ThinPrint, are not available. Support for Windows 8.1 – Horizon View 5.3 supports Windows 8.1 as a virtual desktop OS. Unlike Server 2008 R2 desktops, all functionality of Horizon View is supported. Support for using Horizon Mirage for Managing Virtual Desktops – Horizon Mirage can be used for managing and deploying applications in Horizon View. vDGA Support – Virtual Dedicated Graphics Acceleration is now supported in Horizon View desktops. This could provide better support for graphics intensive applications like medical imaging and CAD/BIM. Unbounded Linked-Clone Overcommit – In previous versions of Horizon View, there were a few settings that controlled how aggressively a pool would overcommit its storage and would limit the number of desktops placed on a datastore. The unbounded overcommit option in Horizon View 5.3 will not limit the number of desktops placed on a datastore. Add Administrator Groups to Persona Management Redirected Folders – Persona Management includes the option to redirect certain Windows Profile folders, such as Desktop and Documents, to a network share. However, if the Persona Management GPOs were used, domain administrators would not have access to those folders. The updated GPO templates add a setting to grant Domain Administrators access to these folders. Direct-Connection Plugin – The direct-connection plugin provides yet another option for connecting to Horizon View desktops – this time foregoing the Connection Server entirely by connecting directly to the desktop. VSAN – VSAN is “supported” by Horizon View 5.3 as a tech preview since VSAN is still in Beta. So unfortunately, no official support will be provided. Windows 7 Multimedia Redirection – Multimedia Redirection has been available for Windows XP and Windows Vista in previous versions of Horizon View, and it has now been extended to support Windows 7. Support for Server 2008 R2 Desktops – Real-Time Audio-Video, Unity Touch, and HTML Access are fully supported in Feature Pack 1. Support for Windows 8.1 – Real-Time Audio-Video and Unity Touch are supported in Feature Pack 1. Real-Time Audio-Video – Now supported on Linux Clients when using the Horizon View 2.2 client. VMware Blast Gateway can now support up to 350 simultaneous users per Connection Server. That pretty much covers what’s new in Horizon View 5.3. As this series continues, we’ll start going into the requirements for running View and the various components that are needed in the environment.